What is a Windmill Farm? Windmill farms can be located offshore. Wind turbines are equipped with anemometers to measure wind speed. A windmill farm can be located in an area of great wind concentration. As traditional sources of energy grow closer to depletion, the search for alternative renewable energy becomes more important. One of these renewable energy sources that has created a great amount of interest is wind energy. Wind energy harnesses the natural energy of the wind and converts it into a usable form of energy that can be used to power homes and businesses. Most of this wind is harnessed in windmill farms. A windmill farm is a group of machinery called wind turbines that take the wind and harness its kinetic energy into usable electricity. 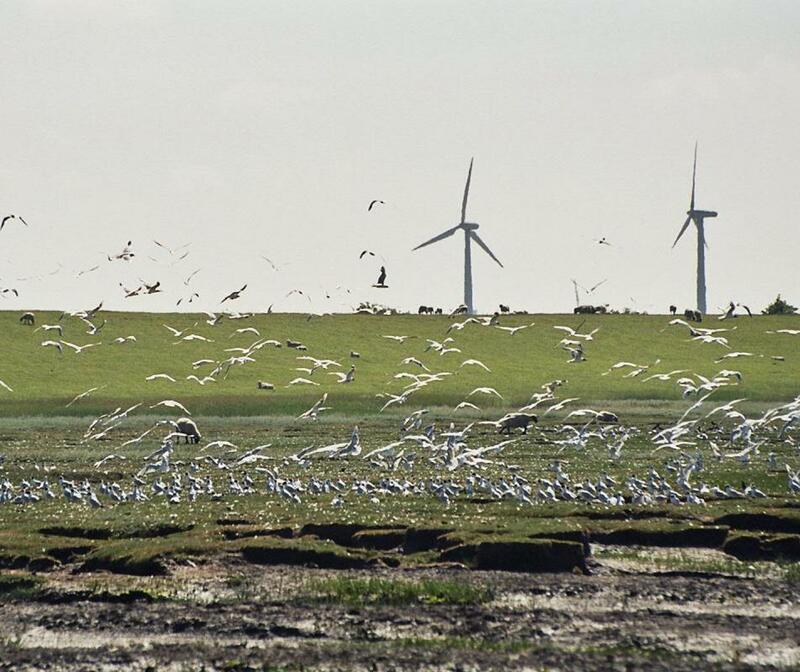 A windmill farm may contain as little as 10 and as many as 100 wind turbines in an area. Each of these turbines are connected to a central substation. 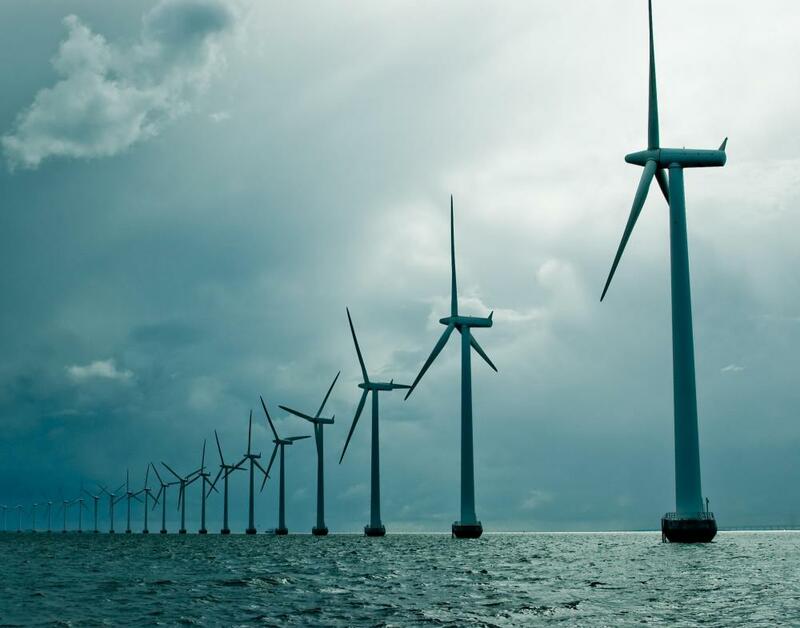 A windmill farm is generally located in areas of great wind concentration, and can be found both on land as well as in the ocean, where they can harness the wind generated by ocean currents. Wind turbines need wind speeds of at least 10mph to create electricity, so they are usually located in areas of the world where wind speeds consistently stay above that level. When the wind reaches a wind farm it gets caught in the blades of a wind turbine. The wind turns the blades which in turn rotate a large shaft inside the turbine. As the shaft turns, it also turns a series of gears located at the bottom of the shaft. The gears activate a magnetic rotor inside the turbine which spin inside a loop of copper wiring. This wiring is wrapped around an iron core. The reaction between the copper and the iron while the wind spins the blades creates a process called electromagnetic induction. This process creates an electrical current which can then be sent through a grid of cables to the substation and collected. This power is then distributed through large cables to power the surrounding area. Since wind constantly changes directions, each wind turbine on a windmill farm is equipped with an anemometer and weather vane. 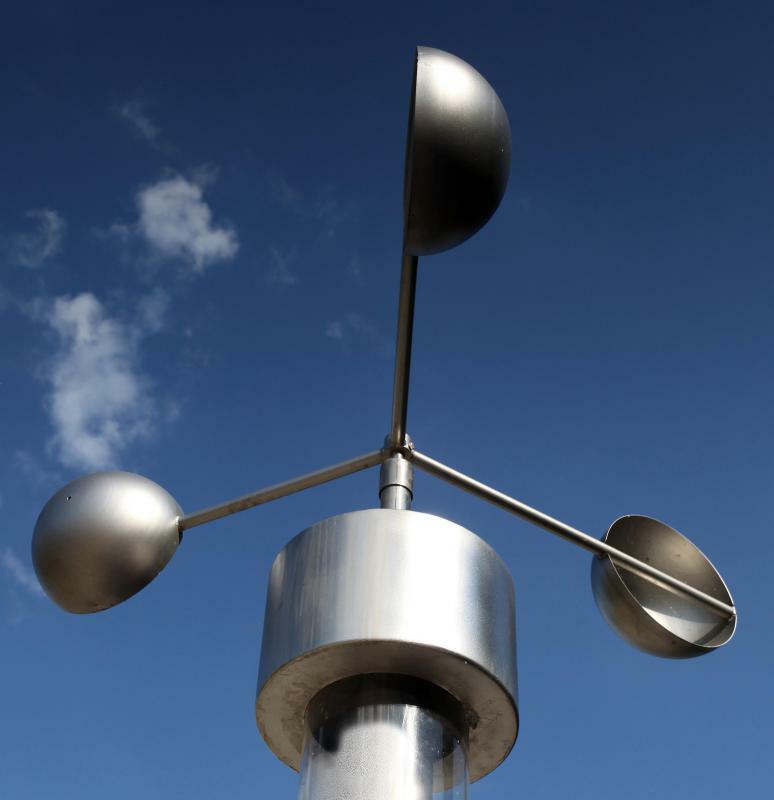 The anemometer allows the windmill farm to measure the current wind speed, while the weather vane determines the direction the wind is blowing. An internal computer then takes these measurements and turns the direction of the blades on the turbine to better intercept the wind. This allows the windmill farm to create the greatest amount of electricity possible. Wind power is present in many other countries throughout the world. The amount of wind power generated by windmill farms is only set to increase, especially with the new political movements towards finding clean, green energy sources to replace traditional oil and gas related power. This makes the electricity gained through a windmill farm a viable option to help nations across the world meet and exceed the amount of energy needed to continue to grow and progress. This allows energy needs to be met, while at the same time being responsible and taking care of the environment. What are the Best Wind Farm Locations? What do Wind Farm Developers do? What are the Benefits of Windmill Energy? What are the Different Types of Wind Turbine Design? I know not everyone is in favor of windmills, but they work. And when the negative aspects of windmill farms are weighed against other forms of energy production, the windmills more than hold their own. Drentel - As the windmill farm market continues to expand, there has been even more of an uproar over placing windmill farms in the ocean than there has been on land placements. Residents of ocean front communities and fishermen alike complain that the windmills disturb ocean life and are potentially dangerous to fish and sea mammals. Also, if you pay a fortune to live by the ocean, you'd probably rather not have windmills ruining your view. Sporkasia - While there are benefits to windmill farms and harnessing the wind to produce electricity, there are also bad things about windmill farms. For one thing, they are not the most scenic parts of a landscape. They make me think of all those old science fiction films where the aliens come to take over earth. The windmills are the aliens. The windmill blades are large and when one windmill farm can have up to a 100 windmills, that's a lot of blades circling about. This is very dangerous and in many cases deadly for birds. The potential for windmill electricity is almost limitless. As we as a society become more conscious of not harming our environment or ourselves, green energy such as that created by windmills has to be taken advantage of. Why continue to pour money and effort into processing fossil fuels and creating energy from other harmful or potentially dangerous sources when we have a safe clean source all around us?